Home of the World’s Finest CHINA-FREE Vitamin C.
Our company provides the highest quality vitamin C products on the market. The wide-ranging vitamin C product line is made using DSM Quali-C® manufactured in Scotland, UK. The DSM Quali-C® in our products is NOT MADE IN CHINA. Note: More than 90% of all vitamin C is currenty manufactured in China. Let our products enhance your reputation for quality. Physician and retail store wholesale accounts available. DSM Nutritional Products (formerly Roche) was the first chemical manufacturer to synthesize ascorbic acid. By now, the ultra-high quality DSM vitamin C products are best in class. DSM certifies the hypoallergenic Quali-C® GMO-FREE and the vitamin C is tested to be free of corn and gluten. Ascorbic acid is the common form of vitamin C, and most vitamin C tablets on the market contain ascorbic acid. 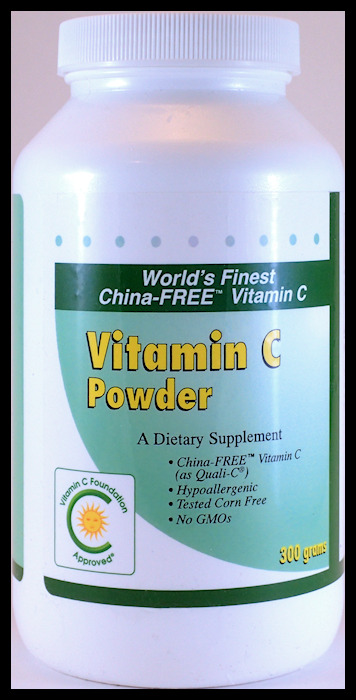 Main Property: Economical China-Free Vitamin C. Rapid absorption. 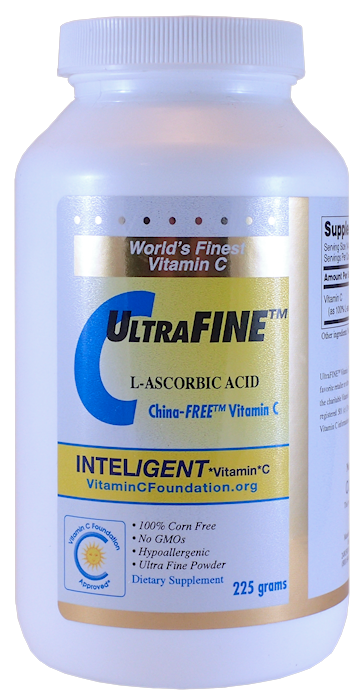 Vitamin C Foundation research has demonstrated that ascorbic acid enters the blood stream instantly (through the stomach lining) in 3 minutes after ingesting a high dose, without traveling to the intestines. 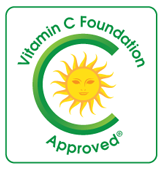 The World's Finest Vitamin C (fine grade powder) is our most economical product. 1 gram per day would last almost one year, while 10 grams per day would last one month. Latest research (Sen, et. al.) reveals that optimal dosages of vitamin C (and Niacin) can kill cancer stem cells - the seeds of cancer. The NonProfit Foundation White Paper estimates that 1 gram every 2 hours is the minimum dosage for cancer patients. It is possible to achieve higher blood levels taking ascorbic acid orally than can be achieved from the same amount of vitamin C from an intravenous infusion, making this form appropriate for fighting colds and potentially cancers. Ascorbic acid is a mild acid, on the order of coca cola, and is thought to have an overall alkalizing effect on the body. However, if first morning urine is acidic (low pH), then the use of the alkaline sodium ascorbate is indicated. Main property: Alkaline (non acidic) vitamin C. Sodium Ascorbate is the only form of vitamin C that should be used for intravenous infusion. Bioavailability research conducted by the nonprofit Vitamin C Foundation has demonstrated that oral sodium ascorbate enters the blood stream slowly, even after ingesting a high dose. The vitamin enters the blood like a timed release, after first traveling into the intestines. If first morning urine is too alkaline (high pH) , switch to some or all ascorbic acid. The alkaline sodium ascorbate should not irritate the bottom of the throat and is indicated for people with heartburn or GERD. Main Property: Rapid absorption of ascorbic acid into the blood stream. Physicians who were aware of the ultrafine grade of DSM Quali-C® recommended that we carry this product after clinically finding that it is best absorbed form of vitamin C. This anecdotal evaluation is based on patients being able to take more before experiencing Bowel Tolerance. UltraFINE's basic properties are similar to our 300 gram “fine” Quali-C ascorbic acid powder, but with smaller particles, almost talcum powder-like, the product mixes better in water and more enters the bloods stream. 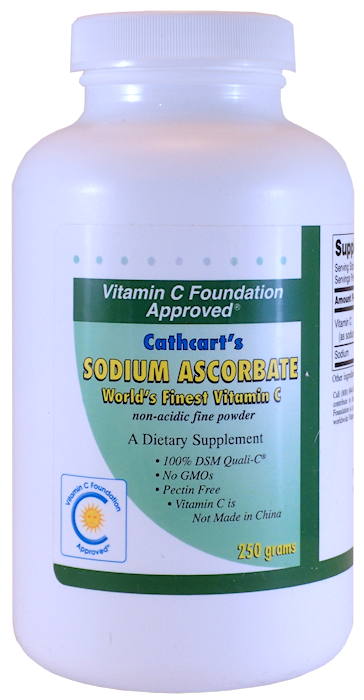 Our customer base prefers this product when making their own “liposomal” or emulsified vitamin C.
# ALL-C Vitamin C Capsules (500 mg, 120 capsules, Quali-C®). ALL-C CAPSULES OVERSTOCKED! 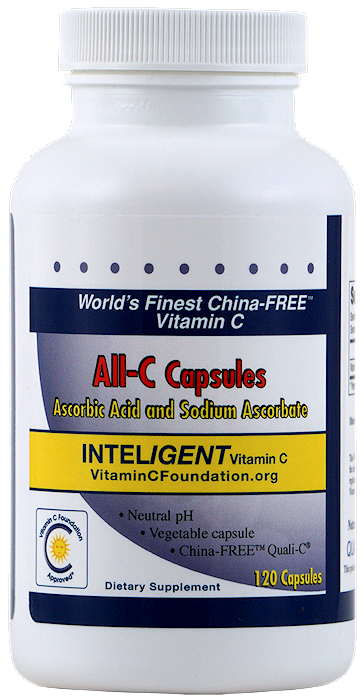 FIRESALE - Buy 18 at $6.99 ea..
ALL-C Vitamin C Capsules (500 mg, 120 capsules, Quali-C®). Main Property: Quali-C® vitamin C in capsules – without any fillers. The unique ALL-C capsules contain only Vitamin C as DSM Quali-C ascorbic acid and sodium ascorbate. The only filler (required for manufacture) is Ascorbyl-Palmitate – a fat soluble form of vitamin C.
The celluose capsules are safe for vegetarians. Main Property: Fighting infection. Best overall absorption, longer persistence in the blood stream. Professionally manufactured True-liposomals (as opposed to self-made emulsions) anecdotally have special properties and effects, especially fighting infection. A True-Liposomal can deliver almost 100% of its “payload” (vitamin C) to the blood stream. The 150 nanometer liposomes persist long after ordinary vitamin C has been passed out of the body (i.e., up to 2 to 4 hours). True-liposomal is recommended by our physicians for all types of infections. The product can assist those with very low vitamin C bowel tolerances to retain more C than by taking ordinary vitamin C powders. Typical dosages for infection are 6 servings every 3 hours for 6 to 9 hours. CAMERON's Chewable (No-Glucose) Vitamin C tablets (Quali-C®). CAMERON'S CHEWABLES OVERSTOCKED! 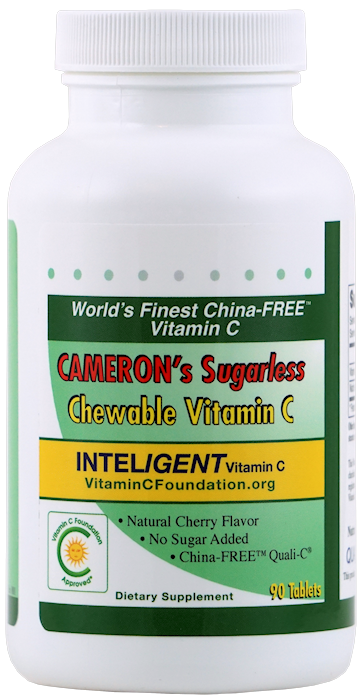 FIRESALE - Buy 18 at $9.99 ea..
CAMERON's Chewable Vitamin C tablets - No Glucose (250 tablest as Quali-C®). Main Property: Pleasant tasting chewiness designed to support all-day supplementation and suitable for children. Designed specifically to fill the Vitamin C needs of cancer patients, i.e., no glucose and support for constant dosing, these tablets have been augmented with potential anti-cancer agents that were used during the Pauling/Cameron trials. The tablets also contain non-flush Niacin. 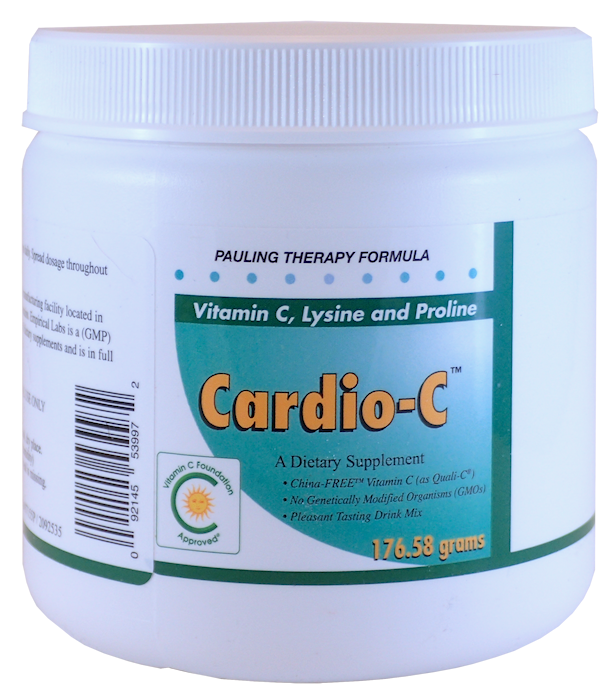 Cardio-C™ Pauling-therapy Drink Mix (Vitamin C as Quali-C®). Cardio-C Pauling-therapy Drink Mix (30 Servings, Vitamin C as Quali-C®). Main Property: Pleasant tasting drink avoids the pills necessary to achieve Linus Pauling's recommended dosages of vitamin C and lysine for cardiovascular disease. Our most popular product, Cardio-C has a long successful history which can be read about in Owen's books. Tell a Friend. Our new autoship referral program can reduce the price of an ongoing Cardio-C™ repeat orders (autoships). One jar monthly provides Linus Pauling's preventive dose, while 2 to 3 jars provides Pauling's therapeutic dosage. # Cardio-C PAKS™ Individual Pauling-therapy Drink Mix Servings (Vitamin C as Quali-C®). 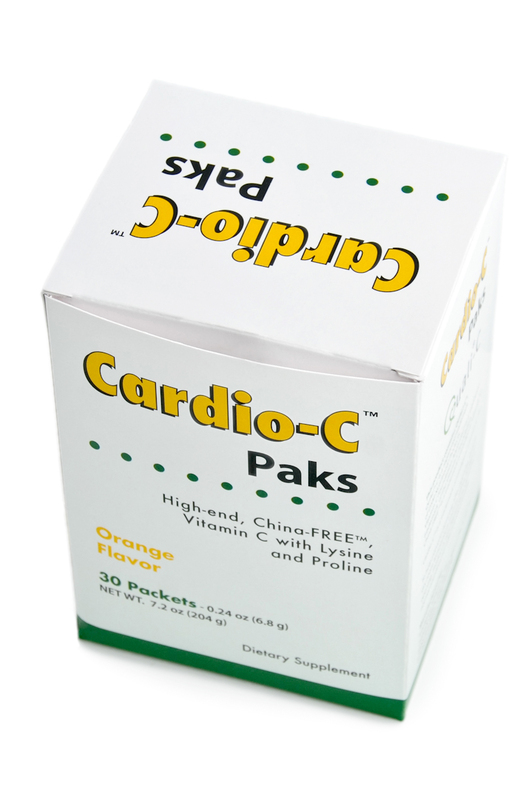 Cardio-C PAKS™ Individual Pauling-therapy Drink Mix Servings (30 Servings, Vitamin C as Quali-C®). Main Property: Individual servings. Same ingredients as Cardio-C™ with improved flavor. Tell a Friend. Our new autoship referral program can reduce the price of an ongoing Cardio-C PAKS™ repeat orders (autoships). Main Property: Implements the Sensuke Konno, et. al. Vitamin C and Maitake mushroom protocol, encased in 150 nanometer liposomes. The in vitro (test tube) science was accomplished by experienced university cancer researchers Konno, et. al. and is compelling. No one knows yet if Conquer D-Fraction/C is really a cure for cancer. Inteligent CEO Owen Fonorow believes it very well may be. Owen suggests starting slowly, because there is a chance that all the cancer in the body may start dying all at the same time. Why do our recommendations run counter to medical and governmental authorities?